Mr Gilles Herard, Jr is a seasoned Merchant Banker and has been in the banking industry for nearly 40 years. He worked early in his career at the Toronto Dominion Bank (Canada) and later on joined Manufacturer Hanover (MH) of New York as Senior Credit Analyst. He eventually became Managing Director of Capital Corp Merchant Banking, a company that syndicates and structures funding for top companies worldwide, all the while investing its own funds into the projects. As Managing Director of Capital Corp Merchant Banking, Mr Herard has become a leading figure in international middle-market project financing and engineers all funding structures for projects at Capital Corp. 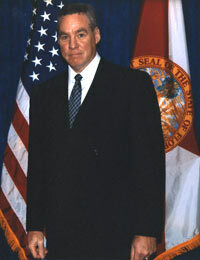 He has received numerous awards for his work and other contributions including being appointed to the Presidential Business Commission, Honorary Co-Chairman of the Business Advisory Council, nominated as Executive of the Year by the internationally acclaimed National Register’s Who’s Who, and having received the Senatorial Medal of Freedom, among many others. On the premise that a single firm can combine Funding and Professional Consulting, we can stimulate optimal performance for its clients. Since inception, our success has come from its culture, which strives to foster the same values that help any business succeed: Hard Work, Common Sense and Integrity. Our vision is to provide middle-market clients the same tailored solutions and funding packages in project financing worldwide by way of equity funding and debt financing - for existing companies as well as start-ups. 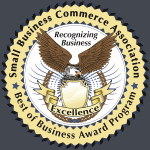 Winner of 2009's Best of Business Award by the SBCA!